Ken Ham is an Evangelical Christian and is perhaps the world’s most prominent anti-evolutionist and advocate of young-Earth creationism. Richard Dawkins, author of the best-selling book The God Delusion, is perhaps the world’s most prominent proselytizer for atheism. Last month, famous atheist and evolutionist Richard Dawkins was interviewed by Howard Condor on Revelation TV in the UK. Parts of the interview are disappointing regarding how the interviewer made some of his arguments. However, there was one section of the interview that is really worth publicizing. Oh well, by far the most important was understanding evolution. I think the evangelical Christians have really sort of got it right in a way, in seeing evolution as the enemy. Whereas the more, what shall we say, sophisticated theologians are quite happy to live with evolution, I think they are deluded. 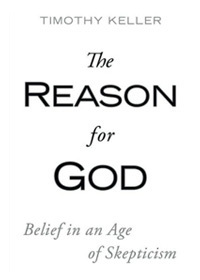 I think the evangelicals have got it right, in that there is a deep incompatibility between evolution and Christianity, and I think I realized that about the age of sixteen. Dawkins is convinced that evolution made the world safe for atheism. Ken Ham is convinced that evolution completely undermines Christianity. They agree with each other on this point, but they are both wrong! The young-Earth creationist case against biological evolution is based primarily on two Biblical ideas. The first is a weakly-supported interpretation, and the other is simply an over-reading of the text. The weak interpretation is the idea that there was no animal death before Adam and Eve fell into sin. The truth of the matter is that none of the passages usually cited in support of this position (Genesis 3, Romans 5, Romans 8, 1 Corinthians 15) actually say anything about animals starting to die as a result of Adam’s sin. They all tie human death to sin, but that is all. To the young-Earth creationists, evolution could not have occurred before Adam because evolution requires death. But if death did occur before Adam (I’ve developed the case for this in my post Death before the fall — an old-Earth Biblical perspective) then this part of the Biblical argument against biological evolution crumbles. 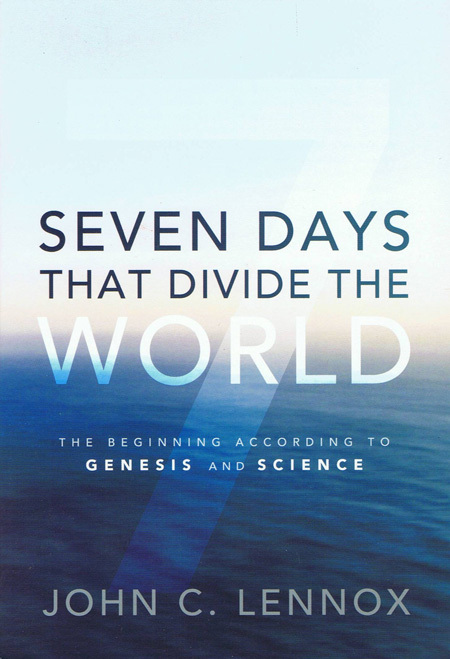 The second creationist argument against evolution is based on the verses in Genesis 1 where plants and animals are created to reproduce after their “kinds.” The Bible does not define “kinds” for us, but there is no reason to limit this definition to the modern scientific concept of “species.” The Bible does not say that there can be no variation within populations of the kinds, nor does it say that gene frequencies cannot change from generation to generation, or that mutations cannot occur that will lead to new traits. In fact, if there is a limit to biological change within the kinds, the Bible is silent on the matter. We should be silent too, at least as far as our Biblical exegesis goes. 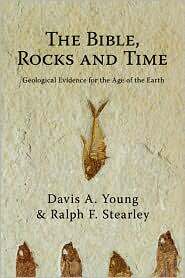 In any case, the young-Earth creationists undermine their argument by advocating hyper-rapid speciation after the flood at a rate that would make most evolutionary biologists blush. In both of these passages, God gives a command that initiates a process: “Let the earth sprout vegetation,” “Let the waters swarm with swarms.” In both of these cases, it does not in any way diminish God’s creative power to use a process rather than a fiat creation from nothing. I won’t go so far as to say that the Bible actually advocates some sort of biological evolution, but the case for God using processes in creation is certainly at least as strong, if not stronger, than the case for the idea that species cannot change over time. I am not arguing here whether or not biological evolution is true. I happen to believe it is at least mostly true, but my expertise lies elsewhere (I have had a few undergraduate and graduate courses in paleontology and paleoecology). What I am arguing is that both Ken Ham and Richard Dawkins are wrong on this matter. The Bible doesn’t say anything one way or another about whether biological evolution can occur. Because of this, Richard Dawkins (and atheists in general) cannot use evolution as a basis for rejecting God and Christianity. If they wish to continue to reject Christianity they will have to find some other reason. One can be a scientist and be a thoroughly-convinced Christian. One can also be a Christian and accept an old Earth and biological evolution. An example of this would be the great defender of the faith C.S. Lewis. What really happened on the first Easter, when Christians claim that Jesus Christ rose from the dead? Most skeptics assume that the complete burden of proof for this claim is on Christianity. From all that we know about life, history, biology, and so forth, dead people don’t come back to life again. Therefore, it is extremely unlikely that Jesus came back to life a few days after being crucified by Roman soldiers almost two thousand years ago, and Christians need to come up with some sort of extraordinary proof for their extraordinary claim. Most people think that, when it comes to Jesus’s resurrection, the burden of proof is on believers to give evidence that it happened. That is not completely the case. The resurrection also puts a burden of proof on its nonbelievers. It is not enough to simply believe Jesus did not rise from the dead. You must then come up with a historically feasible alternate explanation of the birth of the church. You have to provide some other plausible account for how things began. Jesus was crucified by the Romans, leading to his death. He was buried in the tomb of Joseph of Arimathea, a wealthy Jewish leader. A guard was placed at the tomb; probably a Roman guard. A few days later, the tomb was empty. The first witnesses of of the empty tomb were women. The Jewish leaders bribed the soldiers to say that Jesus’ disciples had stolen the body. No one had the body. The disciples of Jesus were not expecting a resurrection, and there was nothing in Jewish, Greek, or Roman culture that would have caused them to hope for the resurrection of their leader. The disciples were soon convinced that Christ indeed had risen from the dead. The resurrection of Christ was a central teaching of Christianity from the very beginning, and this belief had a profound effect on Jesus’ followers. Christ didn’t exist (sort of like saying Julius Caesar didn’t exist). Christ wasn’t crucified (doesn’t explain the origin of Christianity and its central teachings involving the death and resurrection of Christ). Christ didn’t die; he passed out on the cross, and recovered over the next few days (and appeared as the risen Lord of the universe?). The disciples were gullible (people back then were not much different from people now; they knew that dead people don’t come back to life just as much as you or I do). The disciples stole the body (and then preached with conviction that Christ was risen, and endured persecution, hardship, loss of families and property, were thrown in jail, and eventually were executed for their steadfast proclamation of what they knew was a lie). The disciples had a mass hallucination (uh huh). The resurrection story evolved over a period of decades or centuries (the earliest Christian writings, written within as little as twenty years after the earthly life of Christ, included the resurrection of Christ as a central teaching, giving no time for embellishment or evolution of the story). It is not enough for the skeptic, then, to simply dismiss the Christian teaching about the resurrection of Jesus by saying, “It just couldn’t have happened.” He or she must face and answer all these historical questions: Why did Christianity emerge so rapidly, with such power? No other band of messianic followers in that era concluded their leader was raised from the dead—why did this group do so? No group of Jews ever worshipped a human being as God. What led them to do it? Jews did not believe in divine men or individual resurrections. What changed their worldview virtually overnight? How do you account for the hundreds of eyewitnesses to the resurrection who lived on for decades and publicly maintained their testimony, eventually giving their lives for their belief? Adherence to Christianity, with its belief in the resurrection of Jesus Christ, is by no means an irrational endeavor. There is certainly a considerable element of faith for the Christian, in that one cannot prove that Christ rose from the dead, any more than one can prove that George Washington was president of the United States. But the Christian faith is not a blind-leap-in-the-dark sort of faith; it is firmly grounded in a historical event: the resurrection of Christ. Christians have a number of good reasons to believe that Christ did indeed rise from the dead, and objections to this claim are not nearly as strong as many make them out to be. Sometimes people approach me and say, “I really struggle with this aspect of Christian teaching. I like this part of Christian belief, but I don’t think I can accept that part.” I usually respond: “If Jesus rose from the dead, then you have to accept all he said; if he didn’t rise from the dead, then why worry about any of what he said? The issue on which everything hangs is not whether or not you like his teaching but whether or not he rose from the dead.” […] we can’t live our lives any way we want. It also meant we don’t have to be afraid of anything, not Roman swords, not cancer, nothing. If Jesus rose from the dead, it changes everything. Each year at Easter I get to preach on the Resurrection. In my sermon I always say to my skeptical, secular friends that, even if they can’t believe in the resurrection, they should want it to be true. Most of them care deeply about justice for the poor, alleviating hunger and disease, and caring for the environment. Yet many of them believe that the material world was caused by accident and that the world and everything in it will eventually simply burn up in the death of the sun. 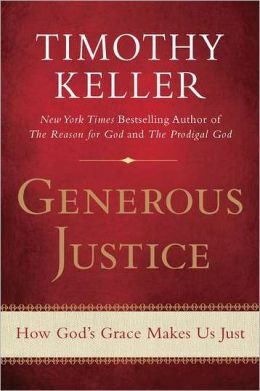 They find it discouraging that so few people care about justice without realizing that their own worldview undermines any motivation to make the world a better place. Why sacrifice for the needs of others if in the end nothing we do will make any difference? If the resurrection of Jesus happened, however, that means there’s infinite hope and reason to pour ourselves out for the needs of the world. Being a conciliatory person by nature, I like to start with the positive. What the Bolivians and animal rights people get correct is the recognition that all is not right in the relationship between humans and nature. 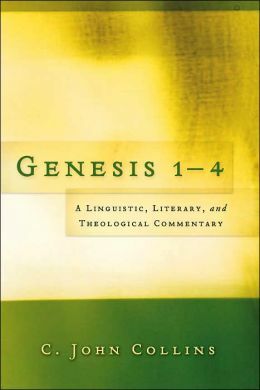 This is seen in Genesis 3 where it is clear that Adam and Eve’s fall into sin led to broken relationships between man and God, between man and man, and between man and creation. This broken relationship with the creation continues to this day, and is certainly part of the reason why the New Testament says that the whole creation is groaning as it waits for humans to be made right again (Romans 8:19-23). 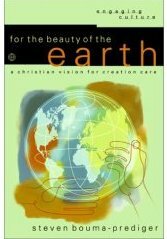 I believe a Biblical view of the creation is the correct one, and the one that will lead to the best care of the environment: land, water, air, plants, and animals. 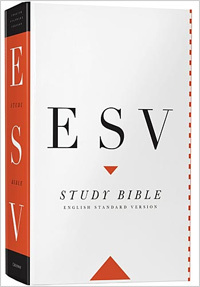 The Biblical view starts with God as the creator and owner of everything. In this Biblical view of creation, humans are embedded in nature, being created on the same day as the land animals and being made of the same material. But they are also over the creation, not as exploiters, but as gardeners who are charged with tending the earth only in ways that do not degrade it. When we wander from our role as stewards of the creation (and this wandering can be done by both capitalists and socialists) then the earth suffers along with humanity. The attempt to elevate the “rights” of the earth (where do rights come from anyway if not from God?) can easily lead not to greater protection for plants and animals, but to a degraded status for humans in the environment. If a dog has the same value as a human, then doesn’t a human have the same value as a dog? Socialism (pushed by the Bolivian Mother Earthers) has a horrendous environmental record. While the capitalist West was making great progress in pollution reduction in the 1960s through 1980s (aided by strong environmental activism and regulation), the socialist economies of the Soviet Union and its satellites poisoned their land, air, and water with reckless abandon. Socialism fails because of a failure to recognize both the individual and collective sinfulness of humans, and therefore cannot provide a solid foundation for environmental stewardship. What further thoughts do you have about Bolivian Mother Earthism? There are disasters. There are megadisasters. And now there are complex megadisasters. From The Christian Science Monitor: Mega-quakes and mega-disasters: Will US heed wake-up call in Japan? The crisis in Japan could be considered the first “complex megadisaster” the world has ever seen — a potent combination of natural and technological calamities that might become more common in the future. A megadisaster is a catastrophe that threatens very quickly to overwhelm an area’s capacity to get people to safety, treat casualties, protect vital infrastructure and control panic or chaos, said Irwin Redlener, director of the National Center for Disaster Preparedness at Columbia University’s Mailman School of Public Health.